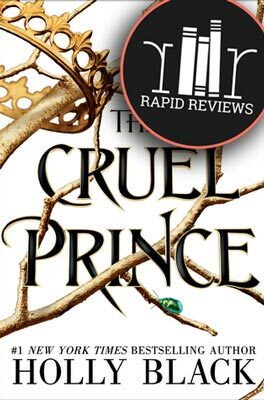 King picks up five months after the end of book one, The Cruel Prince, and I think this was a smart move on Black’s part. We get to see how Cardan has developed as a ruler after several months’ worth of practice. We also discover how Jude’s deception has affected their relationship (or whatever you call the love/hate thing they have going on). Cardan is enjoying himself more than he expected and handling himself better than Jude anticipated. Most of his decisions aren’t his own, of course, since he’s under Jude’s influence, but she allows him some latitude, and Jude is surprised by how naturally he’s fallen into the role of king. No ruler is ever safe in Elfhame, though. Enemies from without and within their kingdom surround them, thus Jude and Cardan can’t let their guard down for a minute. Jude constantly worries about this as well as how to extend her hold on Cardan beyond the year and a day to which he’s bound. She wants to make sure Oak has a normal childhood in the mortal world and gets as much experience outside of the Fae world as possible. But she’s not sure how Cardan will rule on his own if she can’t extend their bargain or who might try to steal the throne if she’s not careful. It’s easy to tell that Black is a seasoned writer. Her prose tells the story efficiently without interfering with the tale (if that makes sense), all the while containing the perfect level of description. The political intrigue is fascinating, and many of the characters are endearing. The twists and turns Black provides constantly keep me guessing. And the surprises she drops at the end of book 1 as well as in this installment left me craving more and desperate to see what the implications are! The deception and dealings of the Fae never get boring. I never tire of their ruses and duplicity, which are entertaining despite their orneriness. When I read about the Fae, however, I often reflect on how dangerous it is for a group of people to be blessed with longevity as well as unlimited resources. Few handle it well. One warning: I can’t help but simultaneously enjoy and despise Jude and Cardan’s love/hate relationship. It’s intriguing, for sure, but I cringe as I think about young teens reading details of this unhealthy pairing. I feel lured to root for the couple, as I’m sure many readers do, yet it’s not something we’d ever want our friends or our loved ones to be caught up in. Nevertheless, I recommend this book to everyone who enjoyed the first book in this series. King started out a bit slowly, but the second half was great. It’s impossible to not continue reading this series to see where Holly Black takes us. Yet I caution parents about letting their young teens read about the capricious society and the unhealthy relationship highlighted in this series. Let us know what you think about The Wicked King in the comments! No spoilers on this page please! Ready to read The Wicked King Click to buy and help us pay for hosting. 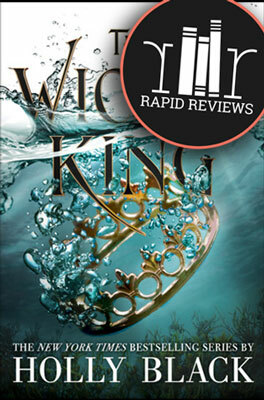 Oh and share this review of The Wicked King with your friends who might like this book!